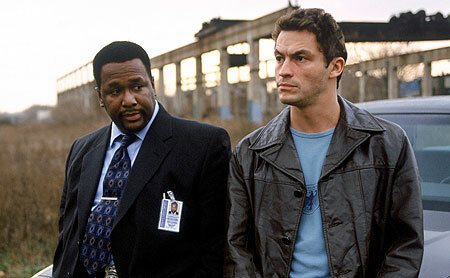 If you’ve seen The Wire, you’ll know exactly how Baltimore is portrayed as a haven for drug dealers and takers. You’ll also know that policing it can be a really difficult thing to do. 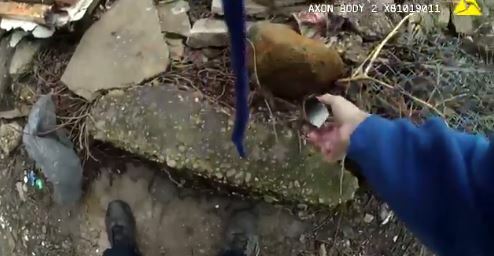 But that still doesn’t excuse the behaviour of this police officer, who has seemingly caught himself red-handed planting drugs at a crime scene. 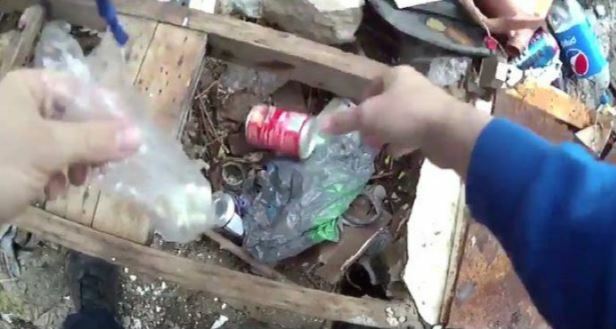 In the video, we see Richard Pinheiro messing around with a plastic bag at a crime scene down the side of a house, clearly forgetting his own camera is recording his every move. Officer Pinheiro and his colleagues then leave the crime scene, before he puts his camera ‘on’ and returns to the ‘scene of the crime’. His half-arsed efforts at looking for something suspect looks so contrived, it’s obvious he isn’t really looking. This guy is winning no Oscars. He then miraculously looks inside the very tin can that contains exactly what he was searching for after a gruelling 20 seconds of looking. Pinheiro has apparently been suspended as a result of the footage, which was used by Maryland’s Office of the Public Defender to defend the accused. What he didn’t know was that in Baltimore, officers’ body cameras often save the last 30 seconds prior to footage being recorded. The charges against the defendant have apparently been dropped, although it has been reported that Pinheiro has been used in court to help prosecutions even since it became clear what he had done here. It’s scary to think that this wouldn’t have been uncovered if he wasn’t wearing these relatively new cameras. But it’s even more scary to think that this kind of stuff goes on at all, especially in what is meant to be the most democratically free country in the world. They’re even using a suspended copper to help get prosecutions in other cases. How is that allowed?